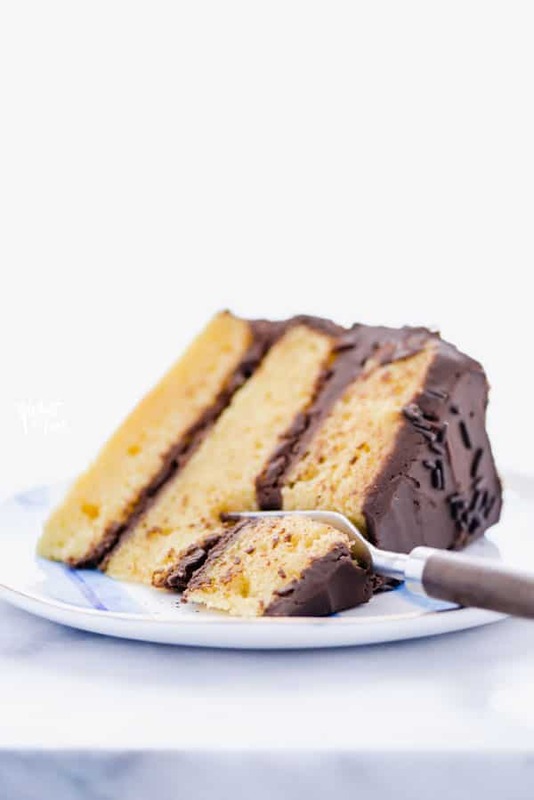 This Gluten Free Yellow Cake recipe is the best yellow cake recipe you’ll ever make! 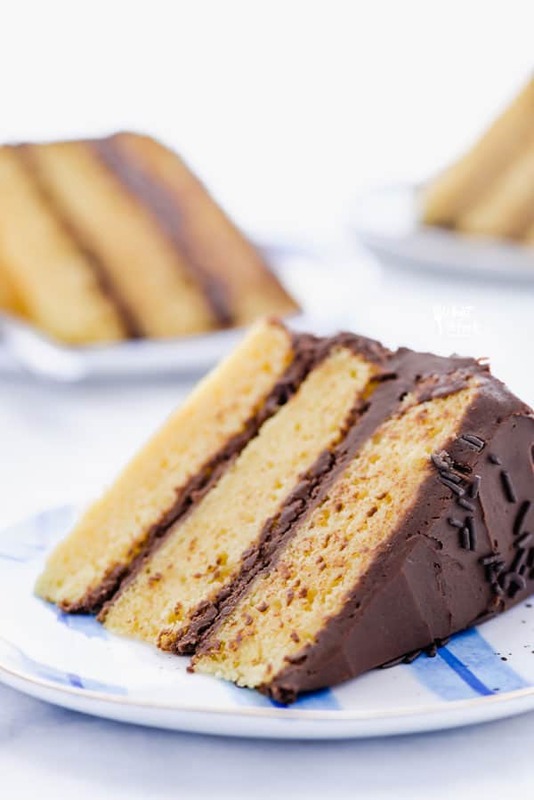 It’s moist with an amazing buttery flavor just the way homemade yellow cake should be. I can’t even believe I’m saying this but we’ve got not one, but TWO things to celebrate today! First of all, What The Fork Food Blog turned 5 years old earlier this month. 5! I’m so proud of everything that I’ve been able to accomplish with this blog in the last 5 years. 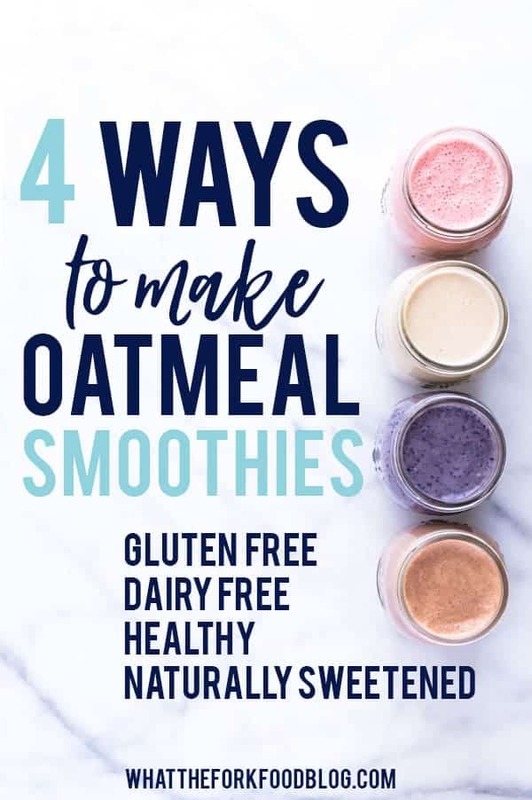 Not only has it led me to writing a cookbook (a dream I’ve always had), but it’s allowed me to help so many of you with your gluten free baking struggles. I’ve learned so much about baking gluten free and it truly makes me happy to be able to share my knowledge with you and help you be more confident in your kitchen and with the recipes you’re making. 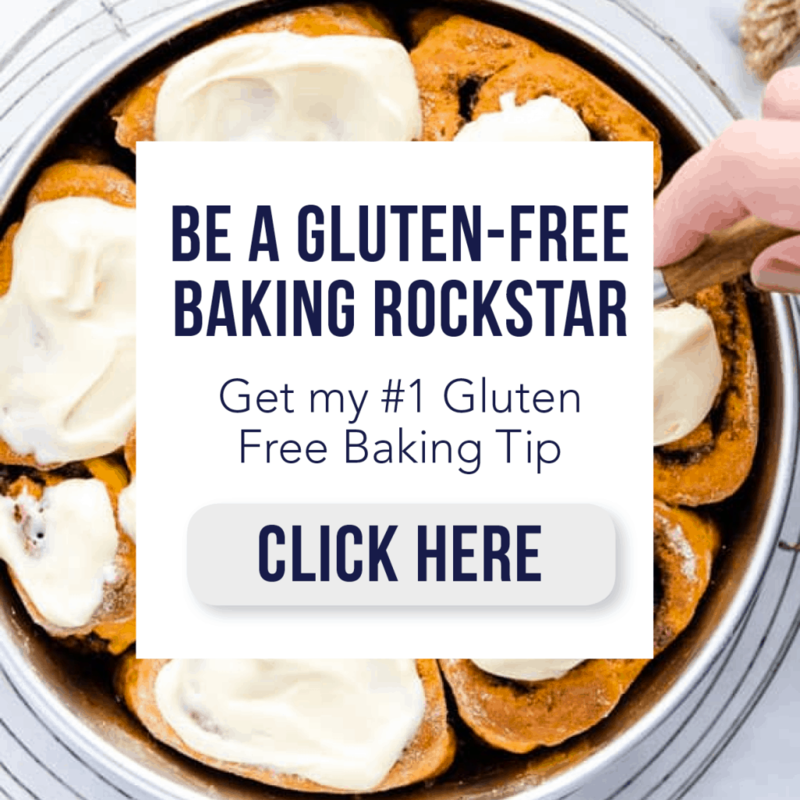 We’ve been able to start building a great community, the Gluten Free Baking Club, and most recently I’ve been able to put together a very helpful resource with my #1 baking tip that explains why it’s important and how it will affect your baking. The free guide also comes with a gluten free baking mini-course (also free!). It’s a handy resource whether you’re completely new to baking gluten free or if you’ve been at it for a while now. 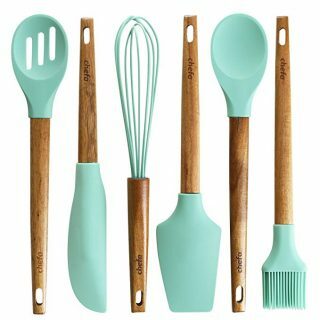 But again, the most important thing is that I’ve been able to help support you on your gluten free baking journey by answering your questions/emails/messages and providing you with solid recipes. That’s a lot to celebrate! 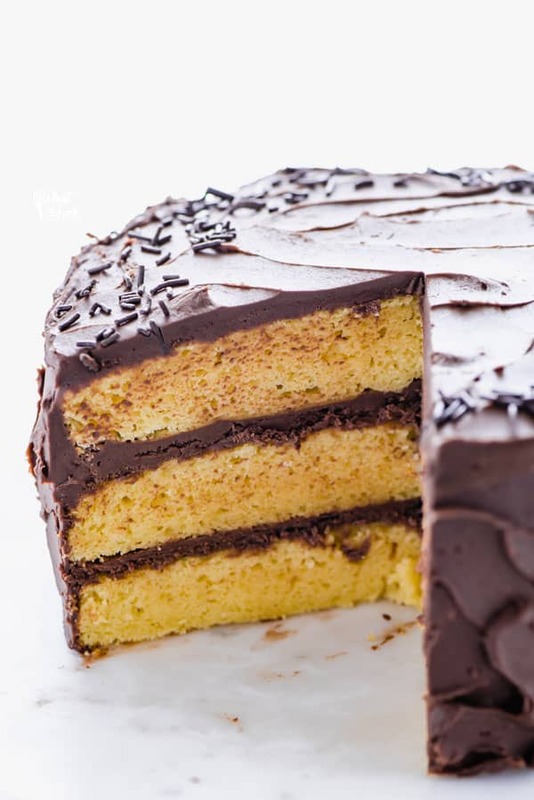 Which leads me to this – the best yellow cake recipe, made gluten free of course! You guys, this cake is outstanding. Homemade yellow cake is notorious for being hard to get right. 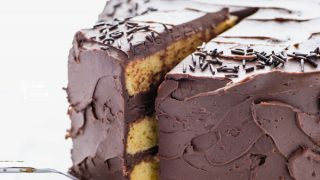 It’s never moist enough, it’s a little too dense, and it’s just never as good as a boxed cake mix so why go through the effort? Not with this cake, my friends! This cake is moist and tender (thanks to the buttermilk) and is nice and light as cake should be (thanks to the meringue). I’ve made this cake more than 5 times to get it right and all the trials were well worth it because the end result is better than anything I could have hoped for. You guys may have noticed that this recipe calls for beating the egg whites separately and folding them into the batter at the end. I know this sounds tedious but trust me on this – it’s totally worth it. When the egg whites are beat into a meringue then folded into the batter, they provide structure to the cake while keeping it lighter and airier. We’re not going for a dense poundcake here. The great news is that you need 4 whole eggs in this recipe – divided into 4 egg yolks and 4 egg whites. That way, you won’t have any random bowls of extra egg yolks or egg whites hanging out in your fridge that you’ll forget about. It’s the little things! You’ll notice that this recipe also calls for a combination of melted butter and oil. 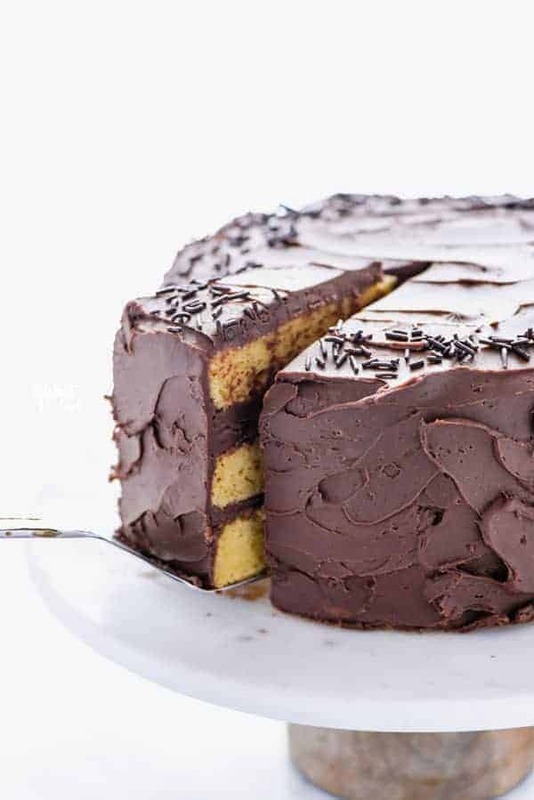 Butter gives the cake flavor but using some oil in place of all butter gives the cake that moisture without making it too rich. 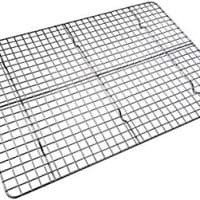 Parchment Paper – I always line the bottoms of my cake pans with parchment paper. They’ll come out cleanly every time. 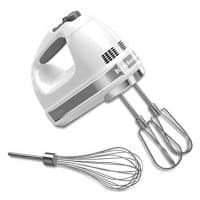 Electric Mixer – I use an electric hand mixer to beat the egg whites and make the meringue. You can use your stand mixer with the whisk attachment if you prefer. 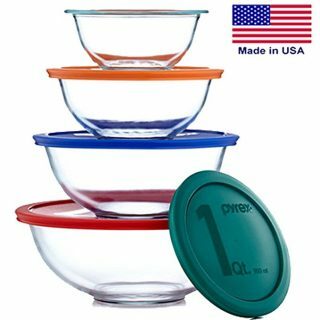 3 Mixing Bowls – normally my recipes call for 2 bowls. But because this recipe relies on whipped egg whites, we need a 3rd bowl. One extra bowl is definitely a fair trade off for the best yellow cake recipe you’ll ever make! Step 1. Whisk together the dry ingredients. Step 2. Whisk together the wet ingredients. Step 3. Beat the egg whites/make the meringue. Step 4. Mix the wet and dry ingredients together then gently fold in the egg whites/meringue. Step 5. Transfer evenly between 3 cake pans then bake for 20-22 minutes. Step 6. Cool completely before frosting. Don’t skip on whipping the egg whites. They provide structure, lift, and lightness in this cake. Don’t replace the cornstarch with extra gluten free flour. The added starch gives the cake a lighter texture, similar to cake flour. In order to get that true yellow hue you expect, you have to add a couple drops of yellow food coloring. 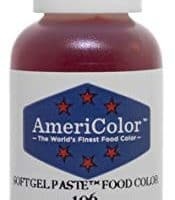 I use 3 drops of AmeriColor Egg Yellow. It’s entirely optional but without it, the cake will be on the paler side. Don’t over bake! 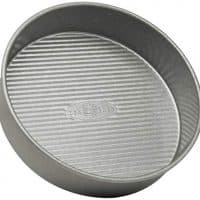 Test your cake for doneness with a cake tester – if it comes away with moist crumbs, you’re good! If you over-bake your cake it’ll be dry. Preheat oven to 350 degrees. Then spray 3 8-inch cake pans with non-stick spray and line the bottoms with parchment paper. 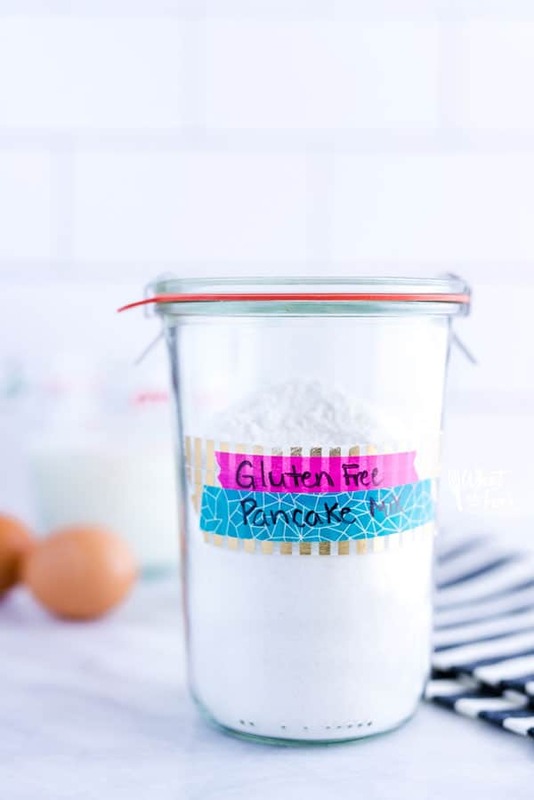 In a large bowl, whisk together the gluten free flour, cornstarch, xanthan gum, baking powder, baking soda, salt, and 1 1/2 cups (340 g) granulated sugar. Set aside. In a medium bowl, whisk together the egg yolks, buttermilk, melted butter, oil, vanilla extract, and food coloring (if using). Set aside. Add the egg whites and cream of tartar to a separate, clean medium bowl. Beat with an electric mixer on medium-low speed until the egg whites become thick and foamy. Slowly add in the remaining 1/4 cup (60 g) granulated sugar until the meringue is shiny and holds a stiff peak. Then set the meringue aside. Pour the buttermilk mixture into the dry ingredients and mix until incorporated. Add half of the meringue to the batter and gently fold in with a spoon. When it's mostly folded in, add the remaining meringue. Gently fold in until no white streaks remain. Make sure you're folding and not stirring/mixing so you don't deflate the meringue. It may take a minute or two to fully incorporate the meringue. Transfer the batter to the prepared pans, making sure it's distributed evenly between the three and spread the batter evenly in the pans. Bake at 350 degrees for 20-22 minutes. Cool the cakes in the pan for 25 minutes then remove them from the pans and cool completely on wire racks. 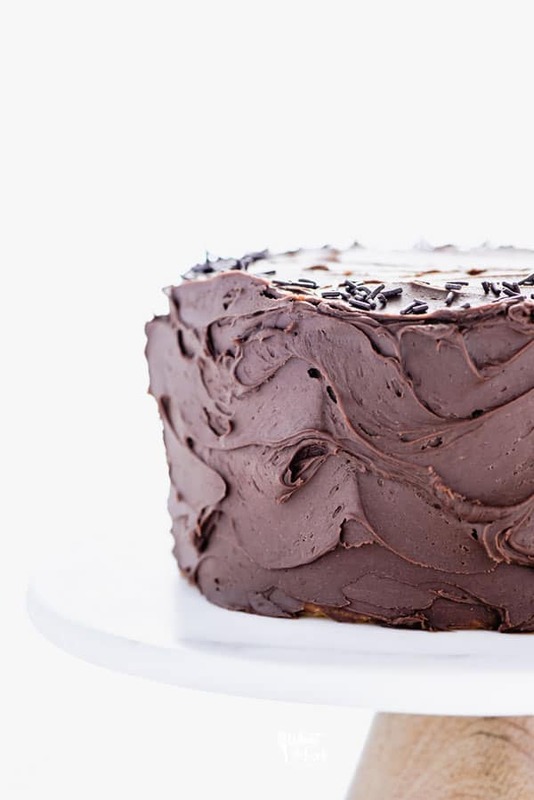 Once the cakes are cooled, frost them with chocolate buttercream frosting or vanilla buttercream frosting. 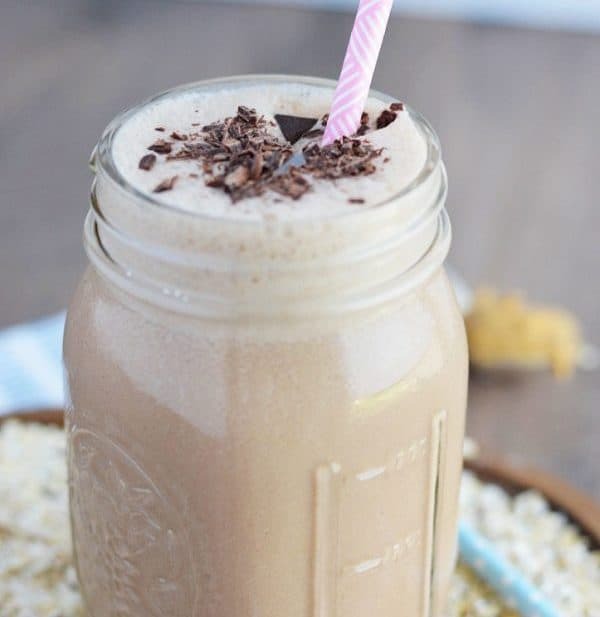 I use my Nightshade Free flour blend in this recipe. If you use a flour blend that contains xanthan gum, omit the amount called for in the recipe. Canola oil or vegetable oil can be used in place of the avocado oil. I use AmeriColor Egg Yellow food coloring. Thanks Kate, that makes me so happy to hear! !